While Chrome OS' offline usability has improved a lot since the platform's early days, there's no denying that an internet connection is still essential to get a lot of things done on a Chromebook. When you're away from WiFi, you can tether your phone's connection, but Google has a smarter ace up its sleeve: Instant Tethering. The feature started showing up two years ago to link two Android devices, was later one of the highlights of the Pixelbook announcement, then expanded to more Chrome OS devices. However, until now, you had to have a Pixel phone (or a Nexus) to set up Instant Tethering. Things are changing though as we've received two tips from users who have the feature on their OnePlus and Samsung devices. 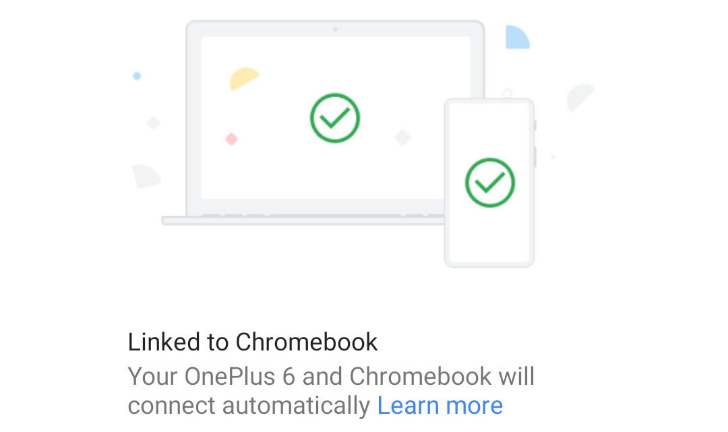 The first tipster, Wouter, received a notification on his OnePlus 6 telling him that his phone was now connected to his Chromebook (running v71.0.3578.94 on the Beta channel). He then noticed that the Instant Tethering feature was turned on and that his computer would share his phone's connection when he was away from WiFi. The second tipster, Keith, says he enabled the feature manually on Chrome OS Dev v73.0.3669.0, by turning on the chrome://flags/#instant-tethering flag, adding his Galaxy Note9 under Chrome OS' Connected devices settings, then accepting the prompt to turn on Instant Tethering once he disconnected from WiFi. Our own Scott tried this and couldn't get it to work, even on v73 Dev, so we're not sure whether the feature is rolling out slowly or if there's some other special requirement we don't know about. 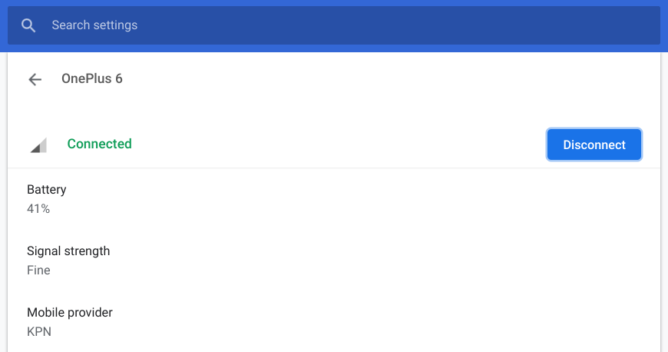 According to Google's own support pages on the matter, you need Chrome OS 70 and above, Android 7.1 and above, to use the same Google account on both devices, and a mobile plan that supports tethering. The second support document still mentions a restriction to Pixel and Nexus devices though, and hasn't been updated to add any other phones. We'll keep an eye on it to see if that changes.